Our Braid Reinforced Silicone Hose/Tubing is an open mesh polyester braiding incorporating with the walls of silicone tubing. Our Products enables silicone tubing to handle increased pressure applications and offers exceptional resistance to temperature extremes and is made from FDA-sanctioned ingredients. Braided Hose, also allows excellent bend radii and permits installation in restricted spaces with impeding flow. Elastostar Offers peroxide cured product and Platinum Cured Products which contains no sulfur or other acid producing chemicals, which eliminates the possibility of corroding, staining, or deteriorating other materials it contacts. We are a manufacturers and fabricators of custom extruded silicone rubber profiles such as gaskets, seals and strips. Our extruded rubber products includes; silicone tubing, rubber hose, platinum cured silicone tubing, fluorosilicone tubing, silicone rubber cord, conductive silicone rubber tubing, rubber extrusion, extruded rubber profiles, extruded gaskets, P-strips, D-strips, E-strips, conductive silicone extrusion, conductive rubber tubing, silicone vacuum hose, rubber U-channel, bulb seals, lip seals, hollow O-rings, tubular O-rings, extruded and spliced gaskets, etc. We are also manufacturers and fabricators of food grade silicone tubing, surgical / medical purpose tubing and pharmaceutical tubing. In house mixing and tooling allows us to offer the fastest turn around and delivery flexibility. With an experience of more than three decades, we are catering to the wide requirements of our clients by providing optimum quality Silicone Rubber Profile. The offered profile is manufactured with the help of high grade material and ultra-modern technology in compliance with set industrial norms. Further, it is thoroughly tested on various stages by our quality controllers assuring its flawlessness at users' end. In addition to this, this profile is mainly used for sealing purpose and is widely appreciated for durability, heat resistance and longer functionality. 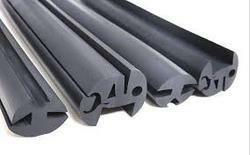 We are manufacturing EPDM Rubber Profiles, Beadings, Extrusion Channels, U Type as per drawing, specifications and samples. 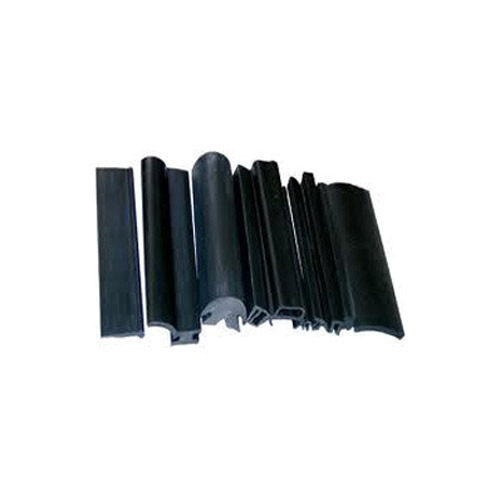 We manufacture High quality long lasting EPDM Profiles. 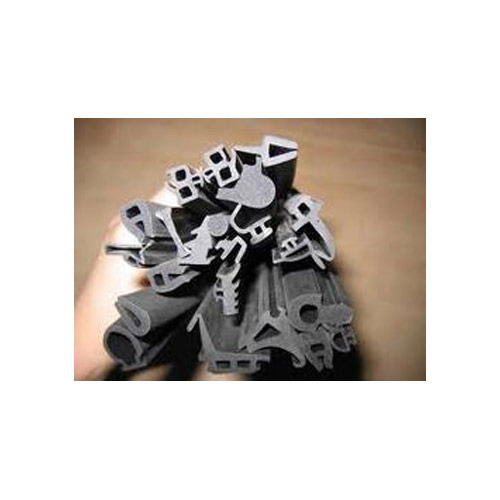 Available in various thickness, sizes and other specifications, we are able to offer our clients with an extensive range of Rubber Profiles. 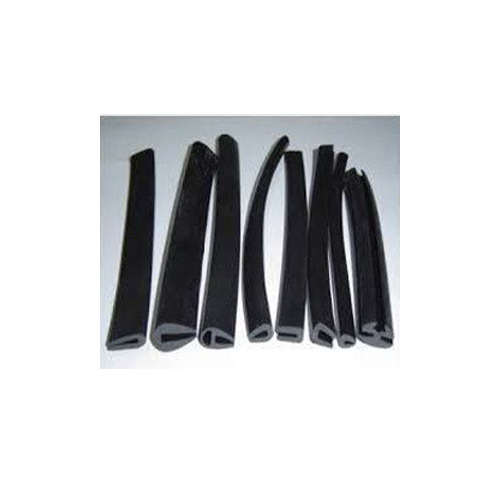 We manufacture High quality long lasting Glass Rubber Profile. 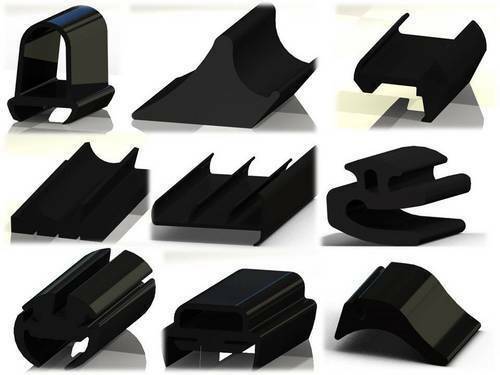 Available in various thickness, sizes and other specifications, we are able to offer our clients with an extensive range of Rubber Profiles. 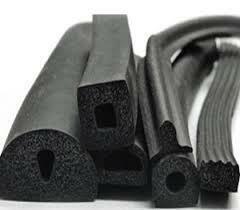 We manufacture High quality long lasting Sponge Rubber Profile.